In the marketing world, stats and figure plays a very important role. But add stats and figures in that same statement and everyeone will consider what you said was ultimate truth. Why are stats and figures more important, then? Stats grabs people’s attention. Try posting an article containing astonishing data and you will drive more people to read it. If the post is funny and hot, you will even see great results. So you see, stats and figures are very powerful. With right figures, you should completely game your actions and strategies. Having the right stats at your fingertips will help you anticipate key trends, which is the single most important factor that will beat your competitions. But obtaining or producing stats requires a lot of legwork. Creating a single stat requires gathering lots of information, performing lots of tests, and certainly, will take plenty of time and money too. That is why we thought of sharing some online marketing stats and figures that are not only interesting to read but will also help you save money and time. Did these stats and figures get your attention? We bet it surely did. In order to grab people attention and keep them reading content on your website, you want to do some research and put some data that will really shock them and start to listen to what you have to say. Tell us about your own experience using stats and figures on your web pages. Have they reduced the Bounce Rate? Have they increase user engagement overall? Please comment on the comment box below. How do you get your brand talking on the Internet? What are the key ingredients that make people keep coming back to your website and convert? Let’s look at 3 lessons you can learn from other popular brands online. #1. Create valuable content for people. 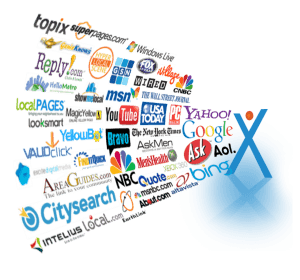 You probably know that Google and other search engines are constantly looking to serve the best web pages for their users (your potential customers). Before Google displays your site higher in their SERPs, they need to figure out two things: how valuable your content is and whether your site visitors are actually using it. Having a bunch of unrelated content – images, videos, and text – will decrease your SEO success. However, with relevant and engaging content, your SEO success will increase explode dramatically. Look at your product descriptions again. Do they carry the theme of your company and create a useful resource for your customers? Do they paint a picture for your customers? Product descriptions should give your customers helpful advice they need to make online purchase easier, faster, and wiser. 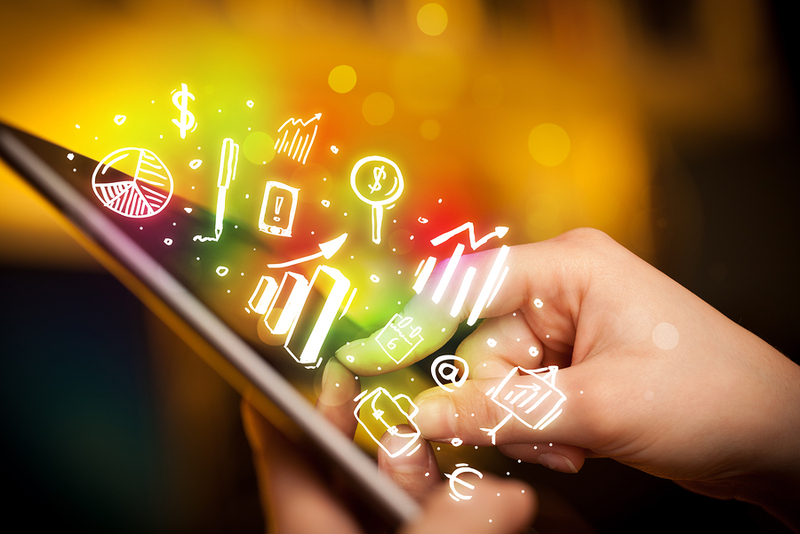 #2: Your Website Should Look Great! Very obvious but most business owners overlook. A good web design will always have a positive impact on your customer. Your website will be visually trying to say something about your company to your customers. You can use the power of design to influence your customers. By taking control of the design, you can make them feel, act, and think in a certain way. a) Typography (fonts): Choose fonts that match with your company’s personality. b) Color: Create the ‘right’ ambience for your website with the right combination of colors. You can also direct your customer’s attention towards certain sections (important sections) of your landing pages. c) Consistency of design: Establish the sense of familiarity by creating a consistent design on the entire website, not just a single page. Consistency in design will re-inforce your brand to your customers. d) Product Imagery: Captivating product imagery will not only tell your customer what it is like and how it will help them, but also tells a unique story that ultimately humanize shopping experience for your customers. 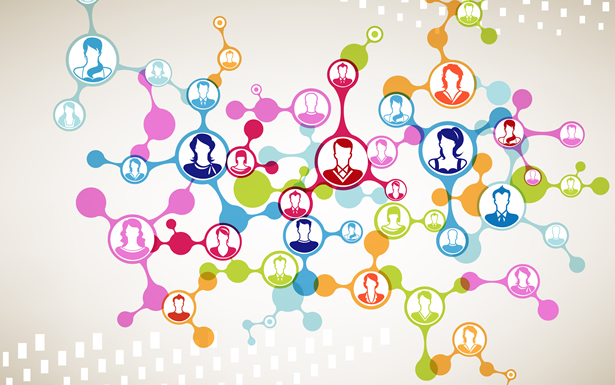 Look how other people in your industry are sharing content across the web. Are they using Facebook, Twitter, Google+, Instagram, Pinterest to share content? If they are, then you should be doing too. A Facebook status post could easily be shared on Pinterest and Google+, especially if you’ve created a content that can easily be shared. Look at blog posts on Stitch Fix. You’ll notice that they’ve used a mix of both content and imagery. Their blog images are self-contained – i.e. it contains all the main points discussed on the blog content. So whenever someone pins this image into their Pinterest profile, they still won’t lose the major points of the post. Your website will never be ‘perfect’ but there will always be room for improvement. Keep these 3 lessons in mind so that you separate yourself from all other average websites out there. We all know that Online Marketing is a set of marketing strategies and methods that helps businesses become more successful online. But besides the strategies and tactics, Online Marketing is also an exchange of value between you and your customers. Lot of people who are new to Internet Marketing (IM) ask what do they share that are valuable to their customers? Well, here are 4 things that you already have that are extremely valuable to your customers. And finally, you have all the necessary skills required to get things done. In this sense, Internet Marketing is an exchange of value or simply a transaction. Whenever we think of a customer’s value we often think of money, don’t we? Yes, we do, but beyond money, your customers also offer other types of value to you. Sharing your business ideas and their contacts with you. So you see, in addition to money, all of these things will be valuable to you and your business. But most people believe that they do not have anything of value to sell to their customers. They think they do not have a great product or service and all sorts of things that stifle their success. People are always looking for a ‘good’ deal. Good deals are not only affordable, but they also offer optimal solutions to customer’s problems. An ‘Affordable’ solution doesn’t mean ‘cheap’ solutions though. If your product saves your customer’s problems, they won’t need to spend additional money to buy other products. Thus, they’ll save a lot of money instead of trying every other product from the market. People are becoming busier than ever before. Time is precious and once it is gone it cannot be replaced. Try to offer solutions that will save your customer’s time. 10 years ago, Apple only offered laptops and desktop computers. But today, they have a whole bunch of products (tablets, iPhones, iPods, iPads, Smartphones, etc) that are designed to improve their user’s experience by number of ways. Laptops and desktop computers were heavy, cumbersome, and requires a lot more space and most users only wanted to surf the Internet, send email, and type small messages. They isolated the weaknesses of Laptop and desktop computers, corrected it, and improved it and came up with alternate devices (mentioned above) that was easier to make and simpler to use. Just like Apple, you can also take steps to offer products that will improve your customer experience. #4: Offer solutions that will minimize their efforts. People want to accomplish a lot with less amount of work. So what tools or shortcuts can you offer to your customers that will help increase the productivity, avoid mistakes, and at the same time achieve massive results with little amount of work? Follow these online marketing strategies to offer simpler, better, and productive solutions that adds value to your customer’s life. Reputation can either boost your business and raise your sales, or can just as equally leave you behind your competitors, so whether you are an individual salesman, entrepreneur or representing your company, you would definitely want to consider having your reputation monitored and taken care of. To find out what position your business holds in the world of online business, you can always use couple of solid monitoring applications, or even hire a marketing specialist to monitor your reputation and lead you to success with well-tailored analytics, if your budget allows you to. If you get involved in your online business development, you will be able to get an accurate insight on whether your marketing strategy needs improvements, according to your site visitors’ feedbacks. The studies have shown that most people actually take feedbacks very seriously and usually take a friendly advice regarding products and services. So, the best way of making your business successful is to transform your strategy into more user-friendly approach to your clients and potential customers. If you try your best and get involved in online community via social networks and blogging, you will be able to follow up with real life opinions and comments and learn how to improve your business. The better the comments and feedbacks are, the more your business is growing. Internet offers many amenities when it comes to wide share of, both, valuable and trivial information, but overwhelmed accessibility to negative information can be a great downfall and devastation for business. 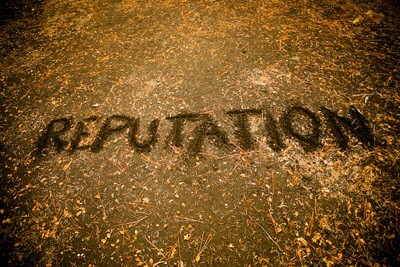 Bad reputation is even easier to get than respectable one, for information spread quickly over the World Wide Web, and as your business arises it can also definitely fall. So, whether or not you are online, your reputation is being inevitably built. In order to prevent misleading info and bad online reputation, you should get involved on social networks and take care that your services and products are high-quality and professional. There is hardly a better way of making a perfect marketing strategy then by monitoring your targeted audience. The best way of knowing exactly what your customers need is to follow up with their comments and feedbacks, so you could focus on delivering services your customers require and make your business moves in accordance with market demand. By being involved with your customers and responding to their comments and promptly answering questions regarding your products and services, even the negative aspects and resolving technical troubleshooting, you will show your appreciation and earn your customers’ confidence. By monitoring your customers’ feedbacks, you will show that you are personally involved in your business and not just selling the services for plain profit. Monitoring your competitors is equally important for your online reputation as any other aspect, for by tracking the factors of strategy your competition is conducting, you will be able to stay always one step ahead. Monitoring competition is also very crucial in order to avoid “badmouthing” and negative marketing campaign your competitors might get involved with. Soon enough your business will grow with your marketing strategy running smoothly and your priorities set to monitoring your online reputation, leading to inevitable prosperity and improvement. Your online reputation is crucial for successfully conducting your business strategy and gaining more sales, which consequently leads to more profit. However there are some factors that you need to consider in order to make sure your online reputation can bring you progress and business prosperity. Business is plain and impossible to start without a motivational starter in form of your own idea. When starting a business, first you need to decide what sort of reputation you would want to follow you, so you need to come up with unique idea and develop it further in order to make it revive and start a successful business. To gain a flawless online reputation, avoid being a copycat try to be as original as possible. You should even consider hiring a professional to help you create great business plan which needs to be almost impossible to fail. If you, however can create your plan yourself, or your budget is tight, you have to study all risk factors, do a market demand research, get involved with your targeted audience and take a close look at your competition. By taking all of those factors in consideration, you will be able to create the online reputation you want. Well optimized posts, blogs and website content are more than welcome in providing you with notable internet reputation and online presence. In order to put yourself out there and get the results you are hoping for, the best move would be to hire a professional SEO manager, who will help you raise your traffic and get better rates on Google and other search engines. Social networks get millions of visitors on daily basis, so what platform is better for you to keep up with your targeted audience and gain an enviable reputation than Facebook, Twitter, Google+, LinkedIn and other social networks. It is also very important to be active on all of your profiles, which is often hard, so you can use help from several great Social Media apps or hire a professional to manage your accounts and help you build your reputation and assure your business growth. Website serves the purpose of showcasing what your business is all about, so your website presentation should be flawless. That is why you should definitely hire a professional web designer and developer to make you a great web spot and get it fully optimized to increase your trafficking and assure the good sake of your online business reputation. It is always the best that you keep all strings in your hands and don’t let anything occurs by case and accidentally. You should always manipulate all factors that makes your reputation as it is and change everything you dislike or think can jeopardize your business. Get involved with your customers, be active and proactive and keep up with every post and comment that has to do with your business, so you could respond to it and preserve your reputation. The basic key is to get involved and don’t let anything to the faith. The way you are ranked on search engines, such as Google, vastly depend on the keywords which are used in making your web content, blog posts, tweets and shares. You should consider hiring a professional researcher to conduct market analytics in order to find the keywords which will increase you trafficking and help you establish your reputation. Social media Networks count millions of visits per day, which makes it a great way to transform your business to more accessible service provider, but social network platforms can also assure your company’s brand identity, so it is very important to be actively involved with your targeted audience and potential customers. There are some places on the network which could effectively help you to claim your brand and reach out to your clients. Google maps are a great way to claim your brand and show your availability in form of address, country, phone number and email, so your clients can find you easily. Google maps can also help you increase your online visibility, consequently raising your Google rates. Google + is actually more than just a common social network, on which you can also share, post, advertize, announce novelties regarding your business achievements, and of course get +1’d. +1 ratings are considered as very favorable at Google, so the more pluses you are getting on your account, the more visible you get on Google search engine. Google + is maybe one of the best ways of starting your online business profiles, claiming your brand and interacting with your potential clients. Facebook is maybe the best social network for getting socially involved as an individual, but that makes it also a great for business owners looking for potential clientele. There are some great apps on Facebook, such as Facebook Places, where you can easily state the place of your business and claim your brand in the way that everyone can see it. You might already have an account on Foursquare on your name, without even knowing it, so information entered by user can often be misleading and inaccurate. The best way of claiming your brand and preventing this scenario is to make an account on Foursquare, yourself. Yelp is one of the most popular social review websites, where anyone can make reviews on any company’s products and services. If your brand is not registered on Yelp yet, you should probably go ahead and claim it, encouraging your clients to post reviews on your services. LinkedIn is great place for presenting your business online, and of course great way of claiming your brand. You can make an account under your company’s name, announce goals and achievements, and share your ideas. You can also hire different LinkedIn account users or get in touch with other companies and start partnerships. Manta is very similar to Yelp, but if you have Yelp account and established brand, that doesn’t mean you shouldn’t make a profile on Manta, just the opposite. Apparently, the more your brand is talked about, the more you get popular with increased traffic along the way. If you are a restaurant owner or you are running a hotel with restaurant and bar, then Urban Spoon and Dine.com could really help you claim your brands and get your reviews, which might as well lead to more successful business. You just need to make a profile on one or both sites and you are ready. Blogging is a great way of increasing your traffic and raising your rates. Be sure you are actively updating your blog so you could claim your brand and establish good reputation. You can hire a professional web developer and designer to make your site for you, so you could claim your brand and showcase your business in any way you want. By choosing the right keywords for your web content and optimizing your site, traffic will be increased and you will be able to get more favorable ranks at search engines, as well as establishing your company’s brand. Every company is focusing on choosing their brand name, but when you look at great companies’ logos, campaigns and advertisement, you can’t seem to stop thinking about how perfectly well established their brand name is. The thing we often miss on is remembering that even those big corporations had humble beginnings and had to work hard to come to the point of great success. If you are on the business market for a while now and all factors are going in your favor but your business is still at the same point where it was at the beginning, than you would probably want to change your strategy and start branding online. Small businesses, online shops and service firms are all doing branding online by blogging, optimizing, being socially involved, etc. But, those companies also have to work on establishing good reputation of the man standing behind that business. This is often very important because successful small companies are shown to have more personal approach in relationships with their customers, gaining their trust and making long lasting company-client relationships. If CEO standing behind a certain company is not reliable or if he is even involved in some obscure business, his company will inevitably fail. Announcing news as CEO, sharing ideas with your clients and by responding to their comments, feedbacks and questions about your services and products, you will certainly establish great reputation and gain new faithful customers. 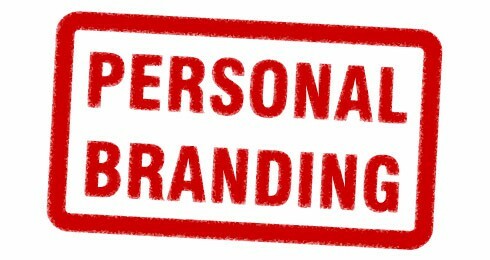 Why CEO branding online is important? Being a company CEO is very important role to have since most people are actually observing a company through the deeds and business moves of its leader. If you are struggling to get your company noticed and your good reputation established, then you should consider hiring a professional PR manager to help you with your reputation and commercial advertising. It is all about good marketing strategy and getting socially involved on number of social networks, blogging and owning a website. You can always get your accounts managed by social media specialist, which ought to give you great rates at search engines and increase your trafficking, leading to increased popularity of your services and products and your personal online brand established. Online branding should probably start with making your personal website which ought to be designed to showcase your business goals and stress out your services, products and recent achievements. After your site is created and fully functional, next natural step would be creating and managing multiple social network accounts and starting your company’s blog. Besides providing valuable info regarding your company, you will also be able to directly interact with your customers, raise your ratings at search engines, get increased trafficking towards your website or online shop. You will, of course, be able to establish your online branding and enjoy all business amenities which great reputation can give you. If you think you won’t be able to manage all of your social accounts and blogs actively, you should consider hiring a professional, who will besides successfully managing your accounts also take your online brand to another level. When it comes to small business companies, reputation is crucial, especially good reputation of CEO of certain business. Whether you are selling products on online shop, or leading a service provider company, you have to be reliable in order to get faithful customers who trust you. Companies with great reputation and massive records of satisfied customers will surely get more sales and earn higher demand for their services. As a salesman or service provider, you always need to stand behind your services and products. You need to make sure that you are providing your customers with high-quality items and services, as claimed in products and service description. If you are not delivering what you claim you can, soon enough your reputation will become bad for your business, and you will fail in keeping your customers satisfied, thus losing your clients. Make sure all your descriptions are realistic and accurate, so you can earn integrity at your clients and get great online reputation. Good word spreads fast, and bad even faster. This statement is applicable for any business, but words spread even faster in online world where information is shared every day, without exception, changing online community form hour to hour. Your reputation is being built even if you are offline, so it is very hard to keep everything under control. The thing you could do is to take care that your services are impeccable depicting descriptions on your site’s offers. Make sure you are only selling what you can deliver in order to avoid getting negative feedbacks and being categorized as a fraud, which is massive business killer. Whether there are questions that you need to answer or any doubts your customers might be having with your products and services, you need to be active in meeting them on the half way by interacting with them. Good feedbacks and great customers support could launch you right to the top, providing great reputation to you and your business. If you reply to your customers questions, respond to their feedbacks and become actively involved in helping them solve any troubleshoots, your reputation will develop greatly. Even if some customers are leaving negative feedbacks, try to find out the reason and help the out to resolve issues and you might get that negative feedback replaced with positive. It could easily happen that your competitors are envious of your success and good reputation, so they can play unfair and jeopardize your good reputation by rumoring. There is no way you could have control over everything that is occurring on World Wide Web, but you can certainly keep track of your competitors blogging and find out if there is any negative campaign running against you by checking suspicious posts and comments. Of course, you can control displayed posts on your blog and site, but you should also follow up with social networks to see if there are any misleading information about your company around online world. Google yourself and see what comes up in the search engine display page(s). As a small business owner, do you have a reputation management strategy to keep track of those negative mentions about you and your brand? 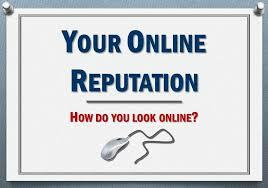 Do you notice anything unusual – a negative mention, comment, or reviews about your product and services, or simply you? While it is possible to have a total control over what you post on your site, blogs, and social media profiles, it is very difficult to keep track of what other people are saying about you and your brand. As a small business owner, do you have a reputation management strategy to keep track of those negative mentions about you and your brand? You see, your potential clients are always searching for products and services similar to yours through search engines such as Google. For example, they use keywords such as “your company name + reviews,” “your company name + discounts,” “your company name + affiliate program” to learn what other people have to say about your product and services. And if they come across a negative mention about your brand, that you think isn’t valid, something posted by an online scammer or one of your competitors, it will spread a negative impression about you and people will likely hesitate buying from you. As a result, you’ll lose another customer, not to mention an online reputation that could cause you additional havoc. Don’t worry about not converting, but you need to have ways to handle those invalid online mentions. The best way to see yourself through Google’s eyes is to type your brand name on Google Suggest tool and see what other suggestions appear alongside your search term. For example, if your company is based in Singapore that specialize in SEO consulting, type the keyword “SEO company in Singapore” and see what other ideas Google will suggest. Go through each keyword suggestion and see if anything appears about you and your company on the search engine result pages (SERPs). If there is something you don’t want other people to see, then use Google’s content removal tool to stop them from displaying further in search engine result pages. Google recently launched a free tool “Me on the Web”, inside Google Dashboard, which will help you keep track of your search results for your name. The tool is included between Google’s analytics and account information. You can use this tool to receive alerts whenever anyone mentions your name on the internet, either through blog posts, web page, social media updates, or any other online media channels. You can also set up when you would like to receive the notifications – within minutes, daily, weekly, or monthly – so that you can manage them accordingly. Go to google.com/alerts and fill up the 5 fields to set up Google alerts to send you notifications whenever someone mentions your brand on the Internet. Type your brand name or any other keywords and its variations associated to your business in the “search terms” field to set up an alert for each. Use quotation around two or more words. Google will look for two words as a single phrase. Select “Comprehensive” from the “type” drop down to include all types of sources. Select “as-it-happens” from the drop down menu “How often” to get alerts as soon as someone mentions you online. Not to mention, it will also help you to respond appropriately if the mentions are negative and invalid. Finally, enter the email address to send your “alerts” to. Use the above three tools to quickly find out who are saying what about you and your brand so that you can quickly take appropriate action before it gets too late. Which online reputation management tool do you use to monitor your brand? Please share and let us know below! How Does SEO help in your Online Reputation? If you give your business card to a new friend, or your date, or anyone you meet during the day, they’ll eventually go over to search engine and search for it. If anything negative comes in the search result pages, it can have a disastrous effect on your online reputation and hurt your business bottom-line. Although you may not be in a position to prevent all those negative content from displaying in search result page, nonetheless, you can still minimize its impact by utilizing few simple SEO tactics, or better, by hiring a professional SEO consultant. 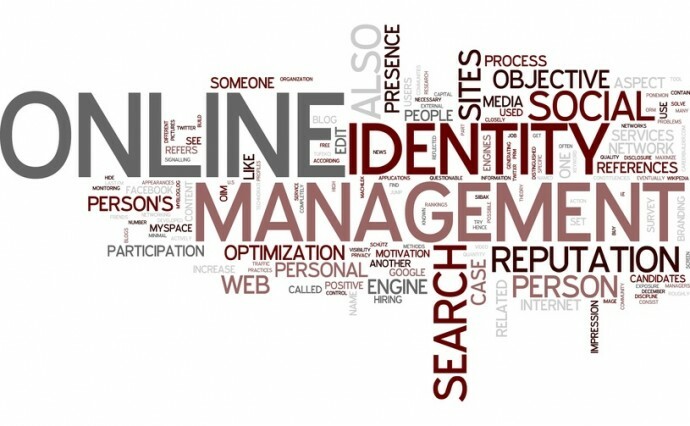 The first important step to manage your online reputation is to take charge of it. For example, search your name in Google. Do you see anything “unflattering” about your business? If there are pictures, posts, or videos that you’d rather not show it to anyone, not even your spouse or girlfriend, simply delete them or change your private settings to stop them from displaying in search results. 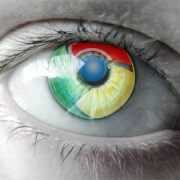 Use Google’s URL removal tool to completely wipe them off from the face of the Internet. In case you cannot get those damaging content removed from your site, then become proactive on your website and post more positive content to bury those negative comments, reviews, and mentions further down in the search result page. In addition to posting content on your website, spread content around other HIGH authority sites such as Ezinearticles.com, HubPages.com, Squidoo, Facebook, Twitter, Google+ as they carry more SEO weight than normal website. Another way to bury those offensive mentions further down is to post more positive content around the web, probably on high authority websites and link all of them back to a single page on your website. Google sees each link to your website as a “vote.” More votes your page has, more valuable Google thinks your page is, and as a result, ranks your website over all pages on search result pages. This is probably the simplest yet efficient way to bury all negative mentions from the Internet. You may be able to handle online management yourself for a short while, but as your business grows, things can become unmanageable quite easily. If you cannot handle your online reputation management tasks yourself, we highly suggest you to outsource them for a small fee. Proper SEO strategies can help improve your online reputation by creating more positive content about your business as well as create a single brand with consistent content and design elements. https://getyoursiterank.com/wp-content/uploads/2016/07/How-Does-SEO-help-in-your-Online-Reputation-.jpg 555 2000 Online Ion https://getyoursiterank.com/wp-content/uploads/2016/09/logo.png Online Ion2013-11-15 20:04:352016-07-02 10:20:13How Does SEO help in your Online Reputation?